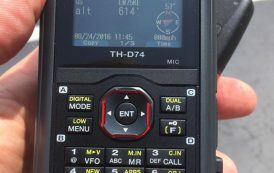 No subject is more widely discussed in the radio field as antennas, and with good reason; after you select your radio equipment, no accessory is more important. There are many myths surrounding antennas, and we’re going to put them to rest in this series. Radio Waves: Some Basics When we connect a wire between the two terminals of a battery, electric current flows. This current generates a combined electric and magnetic energy “field,” a zone which extends at the speed of light into space. When we break the circuit, the energy field collapses back onto the wire. If we reverse the connections back and forth rapidly, each successive pulse’s electrical (positive and negative) charges and magnetic (north and south) poles reverse as well. This simulates a basic radio wave which consists of a magnetic and electric field vibrating simultaneously, or in phase. The electric field (“E” for electro-motive force, measured in volts) is parallel to the axis of the wire, while the magnetic field (“H” named after researcher Joseph Henry) is perpendicular to it. This field is described as electromagnetic. Familiar illustrations depicting radio waves as wavy lines or crosshatched arrows are graphic representations only. There are no “lines of force” as implied when iron filings line up during magnet demonstrations; those filings line up because they all become little magnets, attracting and repelling one another. Radio waves are only a continuous field of energy which, like a beam of light, is strongest at its source, weakening with distance as it spreads its energy over an everwidening area. In fact, radio waves and light waves differ only in frequency over a continuous electromagnetic spectrum, with higher-frequency light having greater energy and the ability to be seen by some living organisms. Scientists even refer to an antenna as being illuminated by radio energy. Radio waves can be reflected by buildings, trees, vehicles, moisture, metal surfaces and wires, and the electrically-charged ionosphere. They can be refracted (bent) by boundaries between air masses, and they can be diffracted (scattered) by a ground clutter of reflective surfaces. Radio and light waves travel through the vacuum of space approximately 186,000 miles (300 million meters) per second, but when they pass through a dense medium, they slow down; this velocity factor, is given as a specification for transmission lines. When we specify antenna and transmission line lengths, these are electrical wavelengths which are shorter than free-space wavelengths because of this reduction in speed. We refer to the behavior of radio waves as they travel over distance as propagation. Ground waves stay close to the earth’s surface, never leaving the lower atmosphere. They are severely attenuated (reduced), rarely reaching more than a few hundred miles even under ideal conditions. Surface waves, the lowest ground waves, often reaching their destination by following the curvature of the earth. Space waves are the line-of-sight ground waves which travel directly from antenna to antenna. 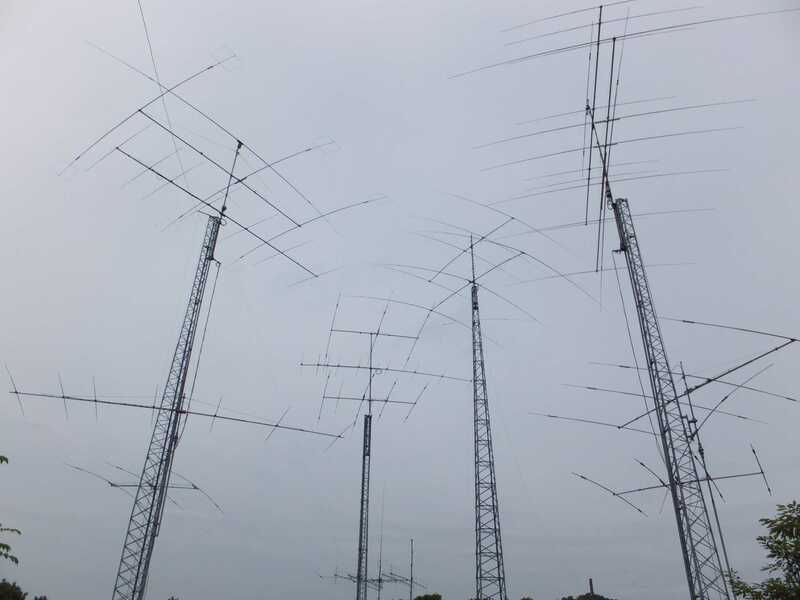 Space waves at VHF and UHF, when encountering abrupt weather boundary changes, experience temperature inversions and ducting as well as other influe…..
Who ya gonna call? Surrey hams!